Do you need to use a scooter on your trip this holiday season? With some planning and preparation, you can fly with a scooter with great convenience despite a busy time of the year. Here are five tips for traveling with a scooter this holiday season. Learn the airline travel guidelines and rules for traveling with a mobility scooter. Airlines usually provide information for travelers with special needs on their website, so check their rules and guidelines. Generally, you have to declare that you will be flying with a scooter once you’ve booked a ticket so that you can be given the proper assistance during your holiday trip. Note that the assistance at the airport requires no payment, and you shouldn’t also be paying extra for checking-in your scooter, as per the Air Carrier Access Act of 1986. The Transport Security Administration (TSA) outlines the special procedures travelers with mobility scooters need to do before you boarding flight. It will help to go over this so that you’ll know what to expect at the TSA lines and avoid delays. Speak to someone at the place you’re staying for the holiday season before booking a room. If you’re booking a hotel room instead of staying over at a friend or family member’s house, always check the facilities before confirming your accommodation. According to the American Association of Retired Persons (AARP), it will help to actually talk to someone from the establishment on the phone so that you’ll know the actual status of the facilities. Some hotels may advertise that they provide access for wheelchair-bound or mobility-challenged guests. However, the facilities might not specifically fit your requirements especially if you’re going overseas. Also, ask about the area around the hotel. It would be pointless to book a room if the site is situated on a hill, as that will only pose more challenges if you’re using your scooter to visit different places. Arrange to get a room on the lower floors since the elevators are the first to shut down in emergency situations. Make sure that you get a rundown of your arrangement with the hotel in writing or via email, along with the booking reference just in case of any problems while checking in. Protect your scooter during your flight or travel. Place a tag on your scooter before you hand it to the airline staff. You have to secure the control pin, and place a tape with a label like “Do Not Touch” or “Do Not Remove” over it so the scooter won’t accidentally operate itself. Show airline staff how to operate the scooter on a neutral switch so it is easier to roll and push. When you have to surrender the mobility vehicle to the airline staff, separate any detachable parts of the scooter, such as the key, the basket and the seat cushion. Don’t leave these, as they can potentially be damaged or lost. If possible, take a photo of your scooter in its current condition before checking it in just in case you need to make a damage claim later on. Don’t forget your power cord. Of course, if you’re using your own scooter on the trip instead of renting, you should never forget to pack the power cord. It might be common sense, but it’s easy to overlook this during the hectic holidays when you have a million errands before your trip. Consider booking your trip with a travel agent. 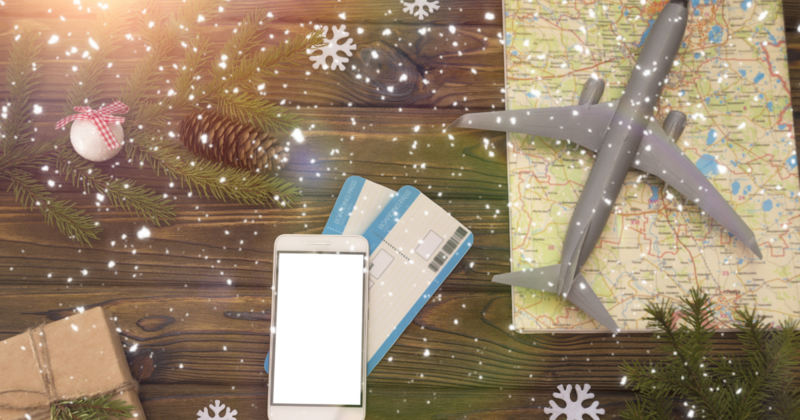 Even though it might cost more to plan your trip with a travel agency, there are companies that specialize in setting up the perfect holiday for scooter users. You can avoid the hassle, stress and trouble of planning a trip during a peak season because they will arrange everything for you. Get around Orlando this holiday season without any hassle. Contact Yellow Scooters for your mobility scooter needs today at 1-855-274-3363.